Letter from Lillian HARMON (now deceased) told the names and dates of family. She stated that John HARMON never married and that twins were born last. 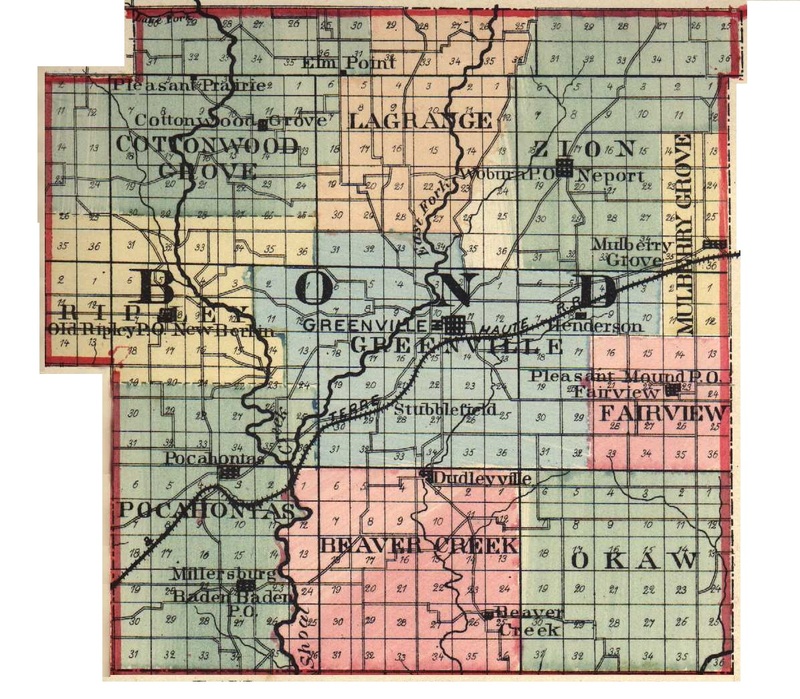 1850 Bond County, Illinois Census shows Henry and Sarah HARMON with children: John, Anderson, Rachel, Elizabeth, Mary and Joseph HARMON. 1860 Bond County, Illinois Census- Greenville Twsp shows Henry and Sarah HARMON with children: Mary, Joseph, Martha, George, Almida and Amos HARMON. 1870 Bond County, Illinois Census shows Sarah HARMON with children: Joseph, Martha, and Mary (with her husband and daughter) Henry WALLS and Madora WALLS.